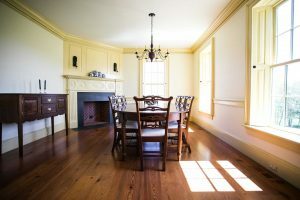 The best period homes combine the craftsmanship and authenticity of bygone eras with the functionality of today’s modern lifestyle. 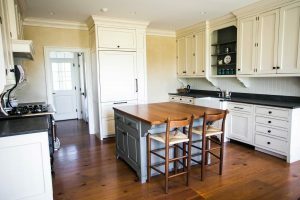 This month’s Inspirations newsletter features a home that perfectly combines both of those aspects using our Antique Pine-Farmhouse flooring. 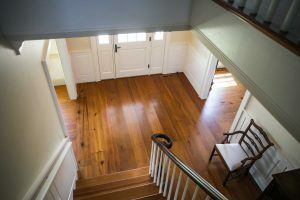 Also, check out two additional projects that feature our classic American Red Birch and custom-stained Live Sawn White Oak. 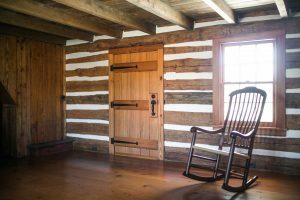 The team at Miller and Blackwell Construction, who specialize in “new historic homes”, painstakingly renovated Sunny Hill farm’s original log cabin, circa the 1830s, and added the main living space to include a large kitchen and several entertaining areas. 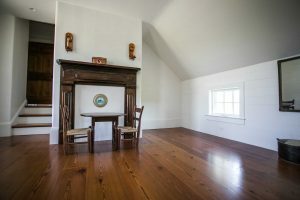 Cochran’s wide plank Antique Pine – Farmhouse flooring was laid throughout the home and Walnut was used for the large kitchen island. 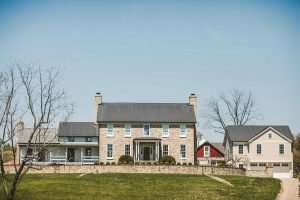 The result is a seamless, character-rich home that embraces both comfort and functionality for the homeowner and their family to enjoy for many years to come.